Veteran Actress Zeenat Aman Files Molestation Complaint Against Businessman! Bollywood actress Zeenat Aman is best known for her work in super-hit movies ‘Satyam Shivan Sundaram’, ‘Qurbani’, ‘Hare Rama Hare Krishna’ and many more. One of the most popular veteran actresses, Zeenat Aman(68) has reportedly filed a molestation and stalking complaint against a businessman. It is being reported that the two had known each other for a while. However, over some issues, things turned sour between them following which Zeenat Aman had stopped talking to the businessman. The businessman didn’t stop there and he allegedly kept calling and following her. Queen Director Vikas Bahl Accused Of Molestation By An Employee; Here’s What He Has To Say! According to reports, the alleged man broke into Zeenat’s house and tried to misbehave with her. It was then, when Zeenat could not control the situation and complained for allegedly stalking and harassing her. The actress repeatedly asked him to stop following and contacting her but after she failed to convince him, Zeenat Aman approached the police and filed the complaint at Juhu police station. The complaint has been registered under sections 304 D (stalking) and 509 (insulting modesty of a woman) of the Indian Penal Code. The man is identified as 38-year-old Sarfaraz alias Aman Khanna. Police had started with the investigation but the businessman is reported to be absconding. 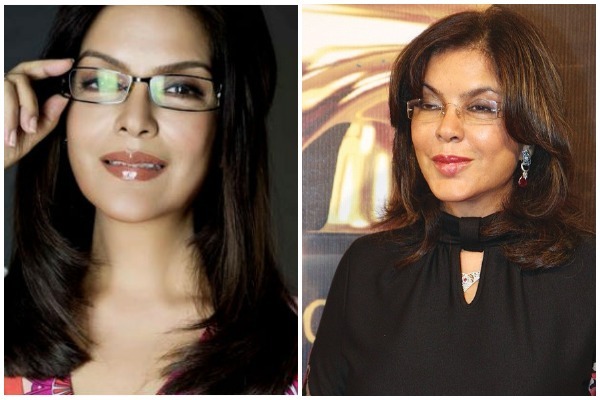 Model turned actress, Zeenat Aman was former beauty pageant holder. She was also the runner up in Miss india and Miss Asia Pacific in 1970. Zeenat is best recognized for breaking the stereotype and going for bold and unconventional roles. Next : Shilpa Shetty’s Hubby Raj Kundra & Actor Sachiin Joshi Accuse Each Other Of Fraud On Twitter!